Dungeons & Dragons Online: Masterminds of Sharn expansion will take you to the heart of Eberron. Explore the City of Towers, uncover nefarious plots, discover what lies beneath! Dungeons & Dragons Online: Mists of Ravenloft expansion will immerse you in one of the most infamous D&D adventure settings. Save the people of Barovia, slay Strahd, and restore balance to the land. The stakes have never been higher! Get the Collector's Edition to receive access to 3 Iconic Heroes & much more! Journey deep into the storied Forgotten Realms and face Lolth, Queen of the Demonweb, in DDO’s expansion Menace of the Underdark™! Get the Standard Edition and begin your adventure as a druid! New to DDO? Your journey begins here with a special new player offer! Leap into combat with the furious strength of the half-orc, the perfect bundle for the melee-focused adventurer! Experience DDO’s first shape-shifting class, the Druid! Each wild shape has its own specialized set of spells to cast! Purchase 23,000 DDO Points for Dungeons & Dragons Online™ to experience new quests, enhance your character's stats, or further customize your adventure with XP boosts and more! Purchase 5,000 DDO Points for Dungeons & Dragons Online™ to experience new quests, enhance your character's stats, or further customize your adventure with XP boosts and more! Dungeons & Dragons Online® interactive video game (c) 2019 Standing Stone Games LLC. All other elements (c) 2019 HASBRO, Inc. 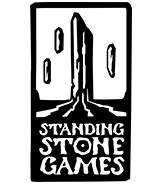 Standing Stone Games and the Standing Stone Games logo are trademarks or registered trademarks of Standing Stone Games LLC. Dungeons & Dragons Online and Wizards of the Coast and their respective logos are trademarks of Wizards of the Coast LLC and are used with permission. HASBRO and its logo are trademarks of HASBRO, Inc. and are used with permission.